Your home is your paradise. It is a safe haven for your loved ones. And, you certainly don’t want see it in a run-down condition. So, it is essential that you take good care of it. One thing that can damage the beauty of your home is peeling paint. It can become an eyesore and make your home look uncomely. 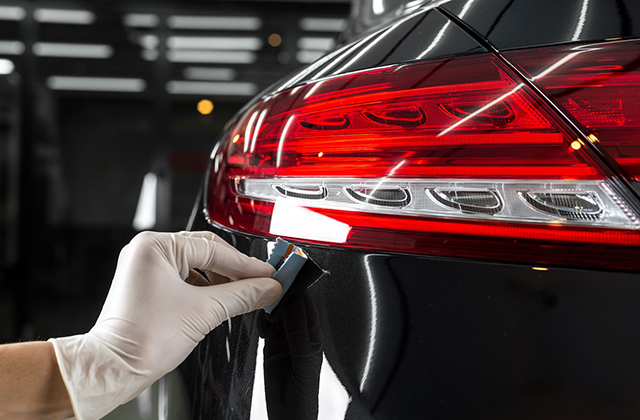 New car paint protection process for new owners should look to undertake waxing and polishing of a car at least twice a year, in order to avoid problems caused by early oxidation and paint losing its vibrancy due to acidic environmental pollutants. Peeling paint is a common problem for homeowners. You may have worked hard on painting the living room, kitchen and bathroom. But, if the paint starts flaking and you see holes in the paint surface, you have a big problem. When you have to address the problem of peeling paint, you must follow the 4Ps of maintenance. They will ensure proper repair work and help you to avoid the problem in the future. Nowadays, you do not find lead-based paints in homes and offices. But, it is best to use protective mask, glasses and gloves. Lay a large piece of plastic to avoid stains on the floor. You must cover the trims and moldings. Also, remove furniture and fixture from the room before starting the repair work. Make use of a brush or buy a paint scraper from the local home improvement store to remove loose paint. Review each and every wall of the room and check for peeling paint. It is best to take care of all the areas at once. It will ensure that you have an even-looking painting result. Have you removed the paint from the surface of the walls? Did you notice wide cracks or small holes? You can repair it with the help of a patching compound. Apply it to cover the cracks and holes in the walls. Make sure that you spread it evenly and let it dry. Once the surface is dried, you can make it smooth with a sand-paper. When there is a moisture problem in your home, paint will peel quickly and result in uneven flaky walls. So, it is essential that you prime the walls before applying the paint. After the primer dries on the walls, choose a color that suits your requirements. If you are painting in the bathroom or a high-moisture area, do not forget to use satin-finish paint or glossy paint because high gloss results in higher resistance to moisture. After finishing the painting work, remove the tape and put the furniture in its place. Remember the 4Ps of maintenance and you will be good to go! It will help you to beautify your walls quickly and accurately. You must remember that moisture is not the only cause of peeling paint. If you did not clean the painting surface properly before applying the paint, it can cause the paint to peel. Putting incompatible paint over one another or choosing a bad-quality primer can also cause problems. So, it is best choose a professional painter to take care of your home. It is because he will not only fix the paint but will also decipher the cause of the problem and help you solve it.